God may not play dice with the universe, but something strange is going on with the prime numbers. With this description of how I built the four sided gaming die, my series is nearly coming to a close. 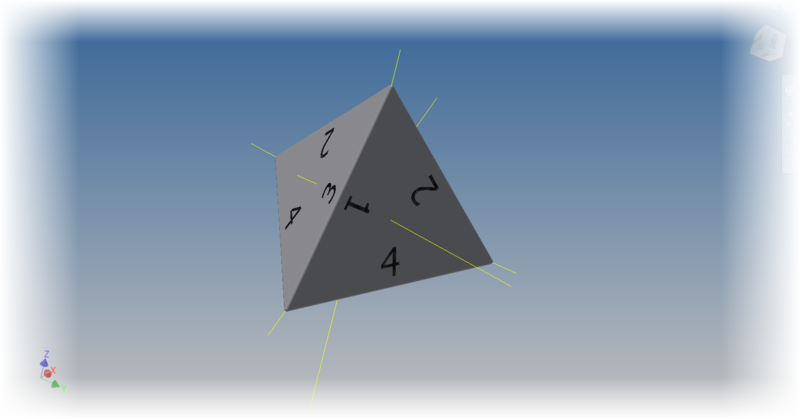 This is a recreation of a die I created for a friend who was making a website for Dice House Games in Fullerton. Ironically, they're right next door to the KETIV office! 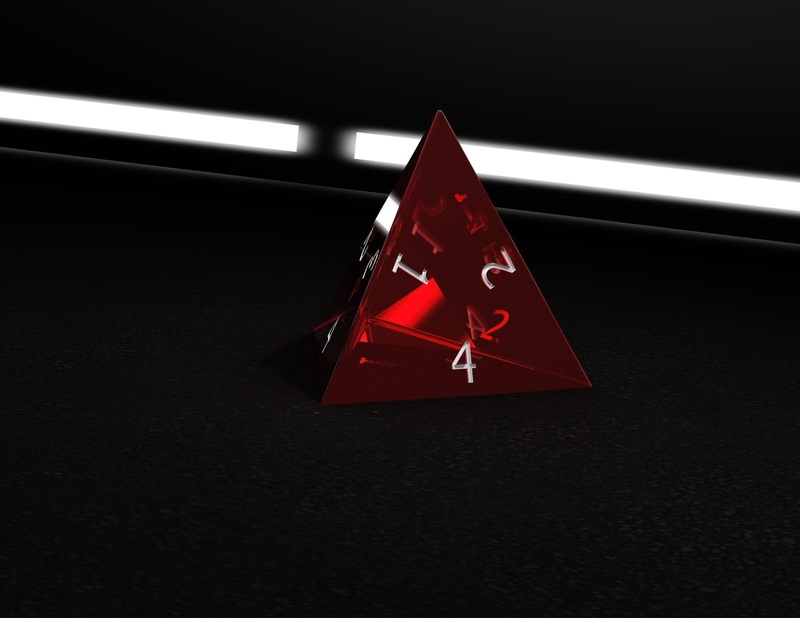 I had to recreate the die because I lost the model in between laptops, but I think this is a better design that the original. So here it is for everyone! This particular die was pretty simple. The construction was nearly the same as creating half of the eight sided die. Although there were some variations with the numbers and basic construction. The first step, was to create a triangle on an origin work plane. This becomes one base of the die. \Next came a challenge. 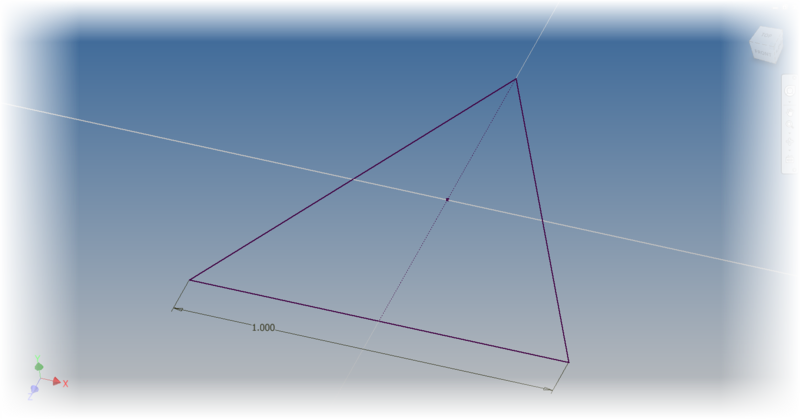 I needed to create a point on the midpoint bisector of the triangle. 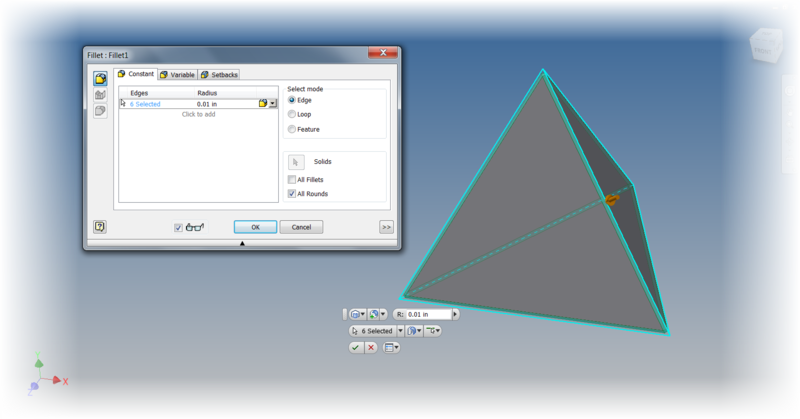 For this, I had to reach back into the high school geometry I swore I'd never use! In truth, I only needed two lines, but the third helped me make sure that everything was right! 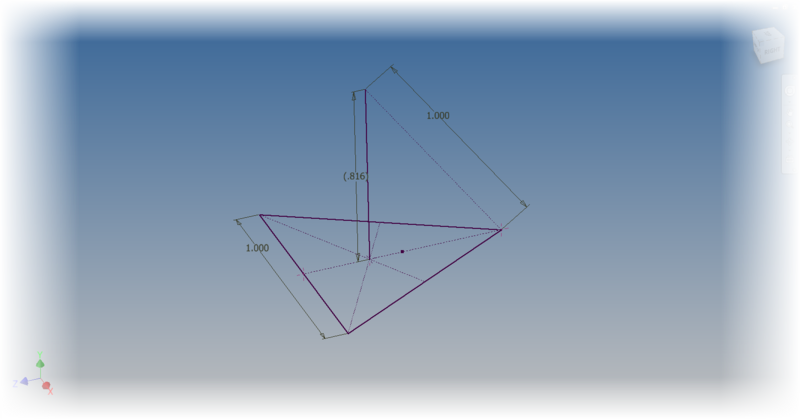 With this construction complete, I could now place a point on the intersection of the lines, and a line through that point, and perpendicular to the plane of the triangle. I next made sure to make the hypotenuse of the imaginary triangle made by the line the same length as the side of the first triangle I sketched (a screen capture probably makes more sense here). Creating the line perpendicular to the first sketch. Now I lofted from the triangle, to the point I created. That's it, now I have a four sided die! 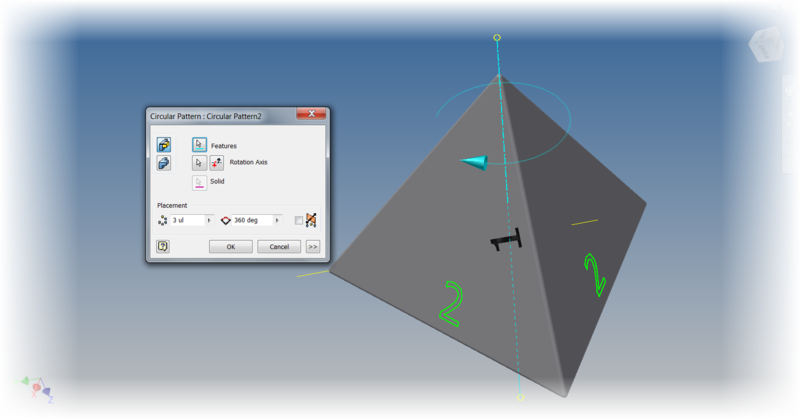 Creating the loft that creates the die. And next I break the sharp edges with a fillet. And now the numbers! In this case, the numbers were actually a little easier. 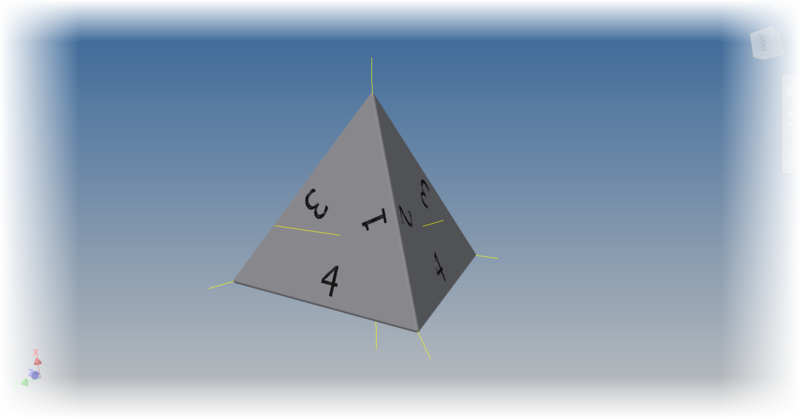 Instead of creating each number one at a time, the shape and design of the four sided die allowed me to use a work axis and utilize the "circular pattern" tool to finish out each number. This way, I only had to position each number once. The circular pattern took care of the rest! Using a circular pattern makes it easy to create the numbers! And viola! The four sided die! Of course it wouldn't be finished without a rendering in Autodesk Showcase. An now a little rendering! If you'd like, you can download the file from the pages below! Have any questions on a particular step? Throw out a comment! Also, I'll be at Autodesk University 2012 this year in Las Vegas, so you may see my bald head roaming around! I'm also planning on blogging from there, so look for some (hopefully) interesting stuff! I have been trying to find out what to do with 4-sided dice. I have them, but for the life of me, I can not find any lessons or games to use them with. HELP!!! They used to be used with Dungeons and Dragons games back in the day, although I don't know if they still are. Sorry, that's as far as I can help with! Or maybe you bought a puzzle game for a person who loves action type games. So the action loving person won't enjoy it, but that doesn't make the puzzle game bad! For a Little More Fun! 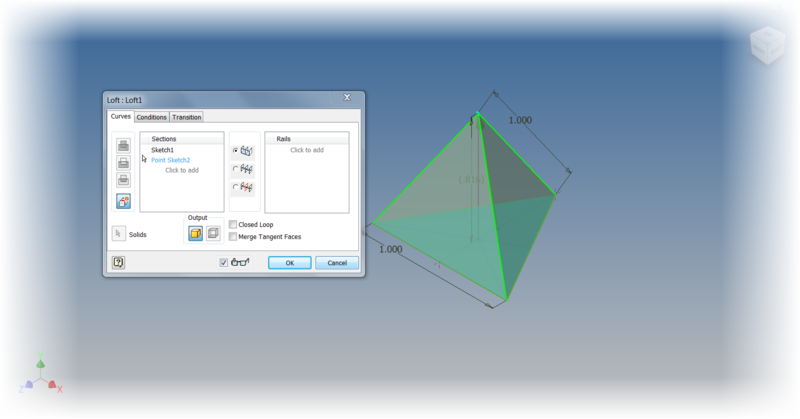 - Modeling a 10 sided die!